There were many intriguing names, and it was still a very difficult choice. After much struggle, contemplation and even a poll between the finalists, it made itself clear that while in an ideal world there will be a perfect word just for that - or a name of a place that evokes that smell and feeling of mystery and wonder - the name does not have to fit the smell to a T. So rather than going with Cathedral Grove (a wonderful old-growth forest on Vancouver Island, on the highway between Nanaimo to Tofino) - I've picked Avraham Yehoshua's excellent suggestion Komorebi. 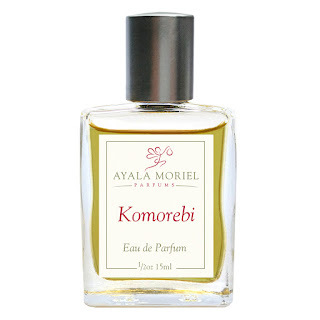 While the perfume does not smell particularly Japanese, both the scent and the name evoke the same sensation and feeling of awe for the forest visual and fragrant beauty. After all, things don't have to match perfectly to be true or beautiful. If the word "Petrichor" describes the smell of the parched earth after the rain; this perfume captures the opposite - the scent of the forest floor after its been kissed by sun. It's the Pacific Northwest equivalent of the Meditteranean "Garrigue" (the intoxicating odour of sunbaked earth and scrubland, dominated by sage and labdanum), and in my mind I've been describing it as "Forest Amber" or "Pacific Chypre". But non of these names seemed to capture the magic quite as perfectly. So I'm thankful to the Japanese language, which has a special word for the interplay of light and leaves, which includes the sunbeams one would observe coming through the trees and shedding light on the vapour they exhale; as well as the dappled-gold forest floor, a vision that is shifting yet constant, as long as the sun is there. This is the essence of komorebi in the Pacific rainforest. This perfume is the first in a series of perfumes dedicated to special places in the Pacific Northwest. 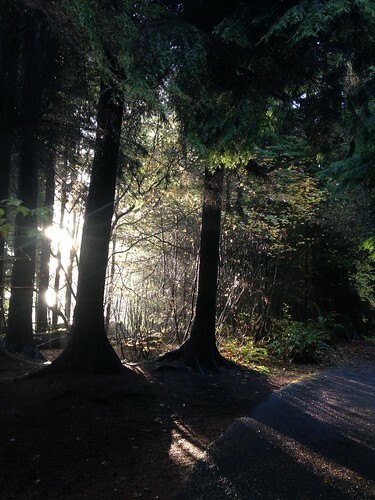 Place of inspiration: Cathedral trail in Xwayxway (Stanley Park). 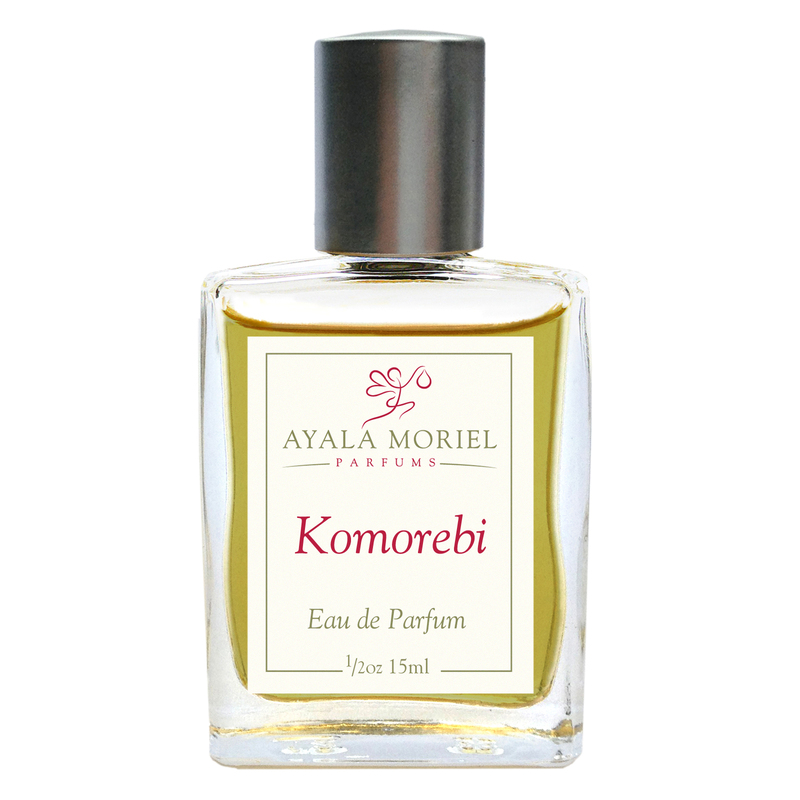 It is now offered online as an Eau de Parfum (15 mL and 4 mL) or parfum oil (5 mL).